Anyway, the Camino Aragones was the second route I came to in my dabbler of Caminos. 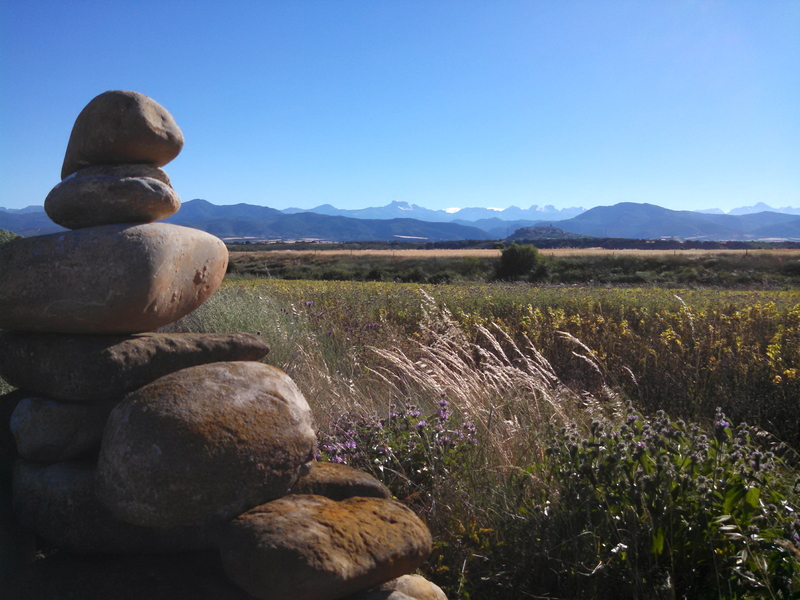 Almost from the moment the Camino began descending the Pyrenees at the France-Spain border, it took on a different flavor. The misty, muddy path gave way, on the other side of the rain-shadowed mountains, to a drier, hotter trail. The wildflowers were different, and the forests of the French side disappeared. The first few towns on the Aragones seemed more bustling than the sleepy French mountain villages I’d gotten used to. But, as the PCT taught me, arid lands have a distinct beauty of their own, and I soon found myself appreciating the brushlands of eastern Spain. Unlike on the PCT, water carries weren’t an issue, as it was easy to ask a kind baker or bartender for water in the towns along the way. By the time I arrived in Jaca, the Spanish sun had already begun working a number on my skin, and I’d been lucky to be a witness to a spectacular sundog, a rainbow-like phenomenon seen on sunny days. I hadn’t yet glimpsed the “lunar landscapes,” the badlands for which that region of Spain is known, and I was excited to think that they were just around the corner. But first, it was time for a zero day — and a field trip to the cliffside monastery, San Juan de la Peña. 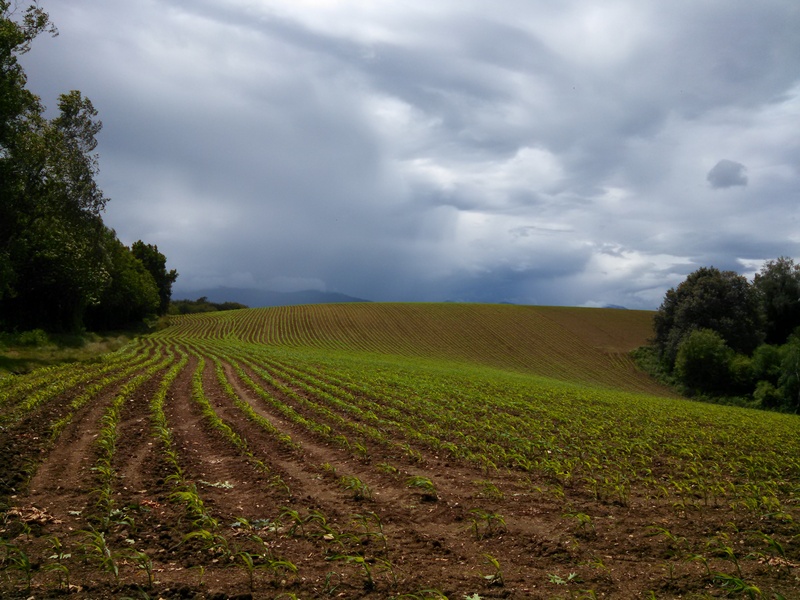 When I set out to walk the historic Camino de Santiago, I knew that I wanted to experience the primary route, the Camino Frances, but also other smaller, less traveled paths. Spreading out guidebooks and maps all over the coffee table, I decided on a general route I would take, a dabbler of Caminos that together formed a continuous footpath from Pau, France, to the western coast of Spain. First along my route was the Chemin d’Arles, known in Spain as the Via Tolosana. This route stretches from its namesake in southeastern France up through the Pyrenees, where it crosses into Spain (and becomes the Camino Aragones) at the Col du Somport (Somport Pass). The western portion of the Chemin d’Arles, which was my introduction to the Camino, was beautiful, and I’ve been told that the section from Arles to Pau is even more lovely. 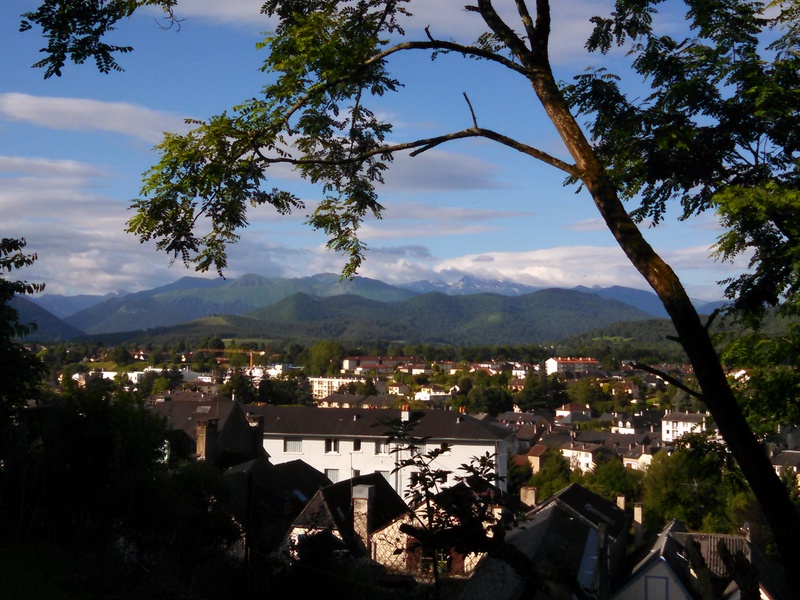 Highlights of the walk included community and town forests, tiny French mountain towns, and sweeping views of vineyards and rolling valleys. Especially memorable was the climb to Somport Pass through an evergreen forest and then the meadows, wildflowers, and mountain air that greeted me at the top. But, it wasn’t just the natural settings that I loved about the Chemin d’Arles: I also have fond memories of a night I spent in a monastery and the sweet, chocolatey scent of Oloron St. Marie, a town straight out of a fairy tale, where homes looked down on a chilly river and flower boxes adorned the windows. Perhaps like some other Americans, I’d grown up conflating “France” with “Paris.” I’d heard that French people were stuck up and obsessive about fashion and unwelcoming to foreigners. While I had a difficult time reconciling that vision with the France of D’Artagnan’s boyhood, I suppose that, somewhere along the line, I’d just accepted it. When I got to France, I was reminded of the fact that New York and Washington, D.C., are hardly representative of our entire country. 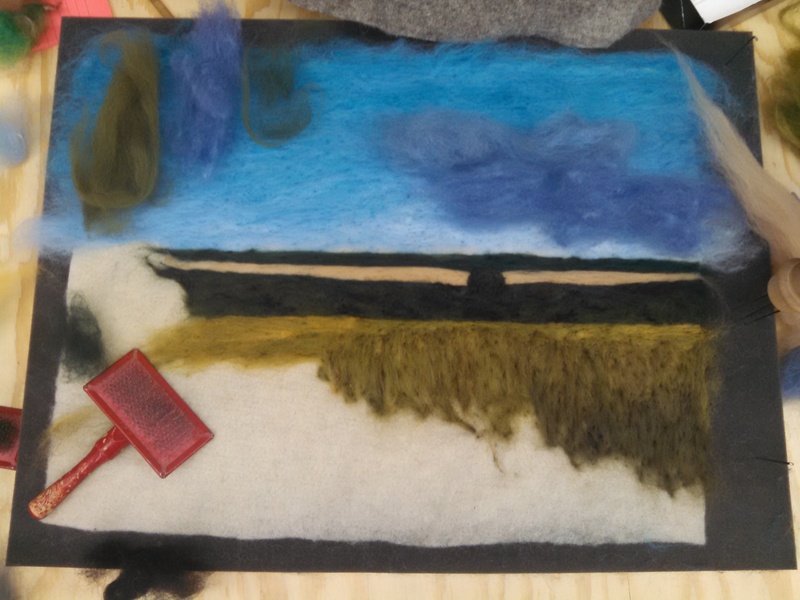 Perhaps rural people anywhere in the world have their own ways of being. My least favorite portion of my time on the Chemin d’Arles was a rather death-defying roadwalk along a curvy mountain highway. Naturally, the day I walked that section was a rainy, misty one. I found myself clinging to the cliff face when I was on the inside of curves. 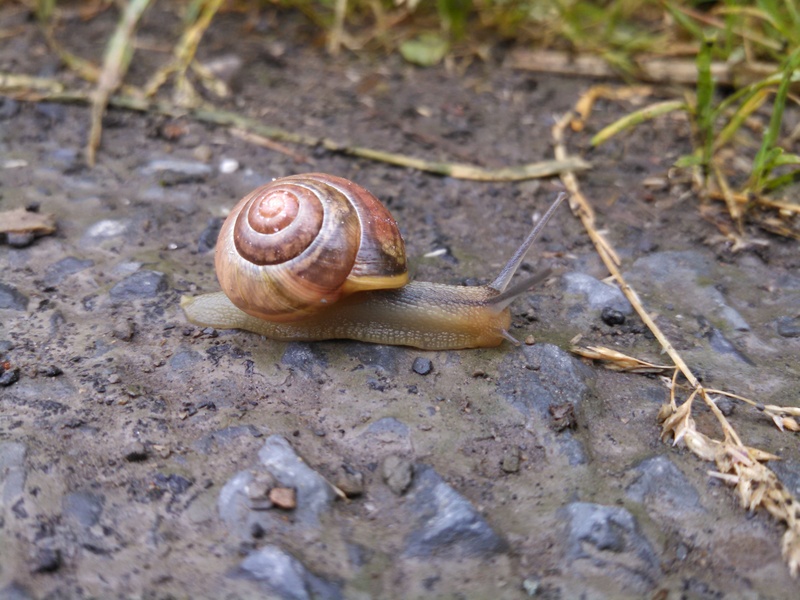 A simple, unexpected pleasure of the Chemin d’Arles — and, indeed, of much of my Camino — was the number of snail sightings it afforded me. I’d read The Sound of a Wild Snail Eating, a precious musing on chronic illness and life’s little pleasures, before my pilgrimage, and the snails I saw on the path, on fence posts, and on flower stems made me smile. My time on the Chemin d’Arles was brief, especially considering that pilgrims who walk from Arles walk for a month. However, I walked along the path long enough to enjoy my time, look forward to the rest of the Camino, and decide that walking the entire route should happen someday. 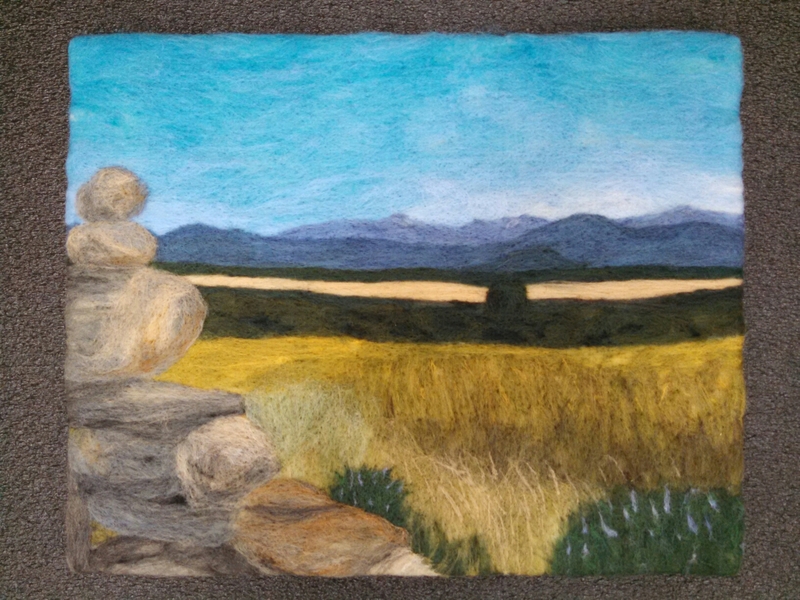 In a tangentially related note, I wanted to share that I’ve begun felting wool paintings from sights I loved along my Camino. First up is this scene from the Camino Aragones. 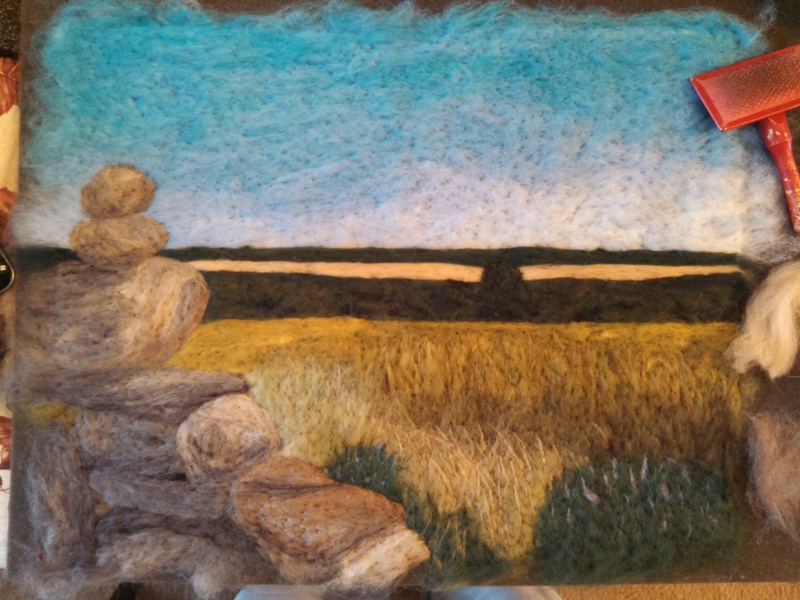 I added the cairn to the foreground this morning, and I’m looking forward to felting the snow-capped Pyrenees tomorrow! The first pilgrim I met on the Camino was an older man who’d walked years before. I think. He only spoke French, and I only spoke English; nevertheless, we talked for half an hour or so. As a local caretaker of the “hostel,” he’d come to the refuge in Lescar soon after I arrived. He added my name and stats to the register he kept — I learned that I unusually young, alone, and American — and encouraged me to make use of the beautiful country home Lescar offered pilgrims on their journeys. Then, he gave me a huge, colorful scallop shell to carry to Santiago. When he left, I went to sleep, still exhausted from London and the travel. I was awoken by late-hiking pilgrims — young, American pilgrims! We were all surprised to see each other and have easy conversation. As we ate dinner and discussed our love for Bernie Sanders, the skies opened up. So thankful for a roof over my head, I watched the storm from the windows. By the time we were doing dishes, Arianna from California called the rest of us to look out to see a rainbow. Sure enough, over the field next to the house stretched one of the most vibrant rainbows I’ve ever seen. As someone who’d hiked more than 4,000 miles as “Rainbow Dash,” I couldn’t help feeling that the occasion was auspicious.